The biggest comms campaign in the history of the NHS will reach its peak tomorrow, when the public sector institution marks its 70th birthday. Marking the anniversary of the NHS has become a unifying focus for comms teams from across the organisation and further afield, promoting the achievements and legacy of a service in the face of mounting financial pressures and rising demand. Comms teams at NHS England and NHS Improvement have played a key role in driving the campaign. The combined effort is unprecedented, with dozens of organisations also taking part in promoting the anniversary, ranging from public sector bodies to trade unions and medical organisations. Special services are being held at Westminster Abbey and York Minster tomorrow, along with thousands of '7Tea' fundraising events where people will hold tea parties to raise funds for NHS charities. About 120 historic sites, monuments and buildings ranging from Blackpool Tower and Gateshead's Millennium Bridge to the London Eye will be lit up in 'NHS blue', while a birthday message will be displayed at the top of the BT Tower in London. Aardman Animations has produced a special animation to mark the anniversary, secured by Freuds - which has also provided support to the overall NHS70 campaign - and the NHS has teamed up with ITN Productions to produce a ‘70 years of the NHS’ programme, available online. The key objectives of the campaign are to "thank NHS staff for their hard work and commitment" as well as to celebrate key successes of the past 70 years and to "build confidence among staff and the public about the NHS’ long term future", according to NHS England. It also aims to "allow people to connect with, and understand better, their local NHS" and encourage people to support it – including "using services wisely" and "taking care of their own health". Tailored versions of the campaign are being run by different parts of the NHS. NHS Digital, for example, has been highlighting innovation in the healthcare system. Ben Brearley, communications manager at NHS Digital, said: "I have enjoyed working on the NHS70 innovation campaign. It has helped me to develop my knowledge and understanding of the fantastic areas of innovation work taking place across the NHS." 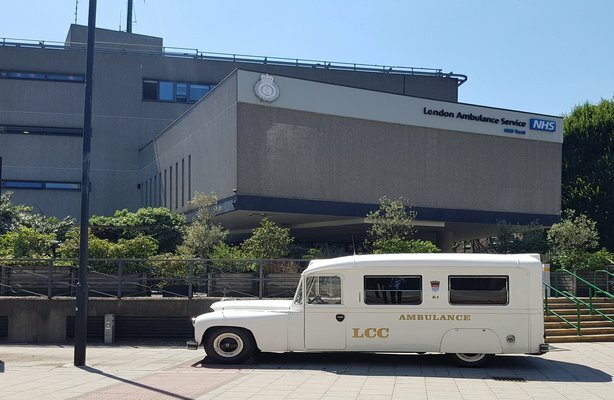 The London Ambulance Service NHS Trust, meanwhile, has been encouraging its 5,000 staff to get involved in the 7Tea events by sending tea and biscuit packs to all teams across the trust. It has also been using social media to showcase historic vehicles and other artefacts in its archives. Jenny Alford, the trust’s media and campaigns manager, said: "This has been a great opportunity for us to look back on how far we’ve come, but also focus on our innovative future strategy. Our staff are no longer 'ambulance drivers', but highly trained specialists, and include mental health nurses, advanced paramedics and midwives. We’re using this campaign to highlight these varied roles and attract new recruits." The year-long behind-the-scenes work to produce comms activity and secure coverage for the birthday celebrations was led by Antony Tiernan, director of engagement and communications NHS70. He told PRWeek: "It has been an absolute privilege to lead on such a momentous and high profile celebration. We have been supported by dozens of partners to deliver what I hope is a fitting thank you for, and celebration of, the NHS, its staff and volunteers."